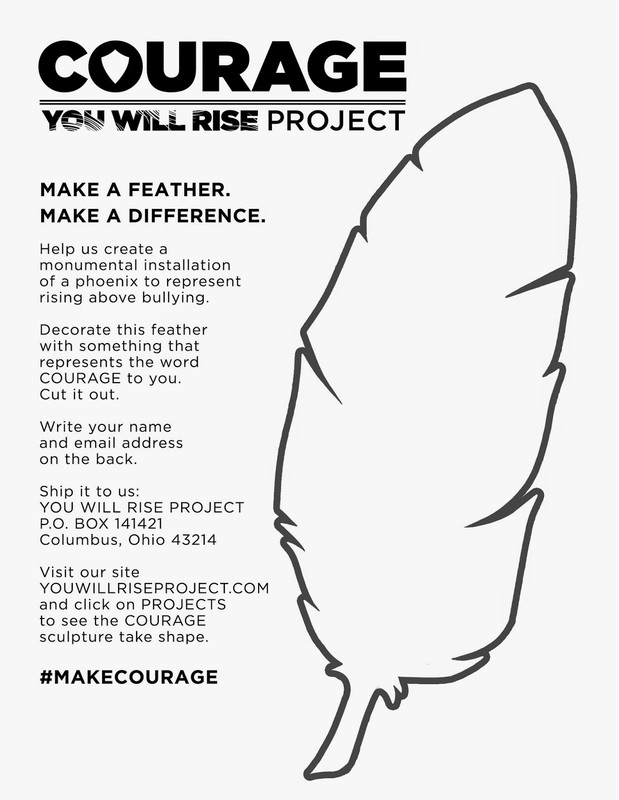 You Will Rise created a monumental installation of a phoenix to represent rising above bullying. We invited young people from all over the world to download a template from our website to create a feather for our phoenix. Participants were asked to print the feather, decorate it with something that represents the word “Courage” to them, and mail it to us. Although the installation is complete, we will leave the template here because many teachers enjoyed using this project with their students.